Summer season has always been the main season for Hurtigruten, but the other seasons of Norway has so much to offer for the guests of Hurtigruten. This is why Hurtigruten has launched different concepts for promoting this. In 2009 Hurtigruten launched their winter concept "Hunting the light", in which the Northern lights are the key theme. This year, the "Artic Awakening" was launched as the spring initiative. Summer is comming to an end in Norway, and autumn is knocking on the door. The green colors of summer, will slowly be replaced by the colors of autumn; red, yellow and orange. Hurtigruten is about to test a new concept this year called Autumn Gold, the name describing the palette of colours in this season. The emphasis will be on the special colours of Norway's spectacular coastline, food and culinary, activities and excursions. Hurtigruten provides a wide range of experiences. If you just want to relax, there's no better option than to enjoy the comortable ships of Hurtigruten. The new autumn concept will officially be launched in 2013. 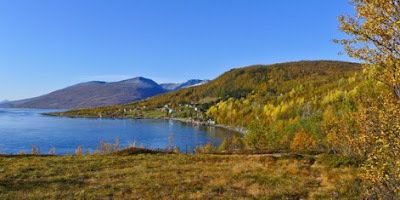 2012/10/18: According to the Hurtigruten official blog the Autumn Gold concept has now been tested with great success, with great feedback from guests, crew, journalists and agents. The MS Finnmarken has been the pilot ship for this concept. Some details from the Autumn Gold test voyages: Sami culinary experiences like Bidos (traditional soup) and reindeer heart are mentioned, tasting of cloudberry, listening to Sami joik and watching the Finnkirka (Sami church) as the ship sails by. Sounds exciting, doesn't it? You might also want to read: Hurtigruten's most popular shorter trips. A press release from Lufthansa Systems states that Hurtigruten will be the first customer for the new product Guest Service Portal, which was launched in spring 2012. So what is this product about? The Guest Service Portal will enable passengers to interact with Hurtigruten via their mobile devices, prior to, during and after the voyage. Passengers will be able to book services, make inquiries, watch movies, make dinner reservations and plan their choices of excursions. According to the press release this interaction can also take place via television (on the ships) and the ship's digital signs. Information about the ship's facilities and social media page will be highly available. The system will be implemented on all ships, from January 2013. As any company looking for ways to improve their product and passenger experience, Hurtigruten is working continously to give their guests the best possible voyage, be it on the Norwegian coast, the polar regions or European voyages. The Guest Service Portal will no doubt contribute to a even better Hurtigruten product. Dolphins playing with a Hurtigruten ship! Check out this video that one of the crew members of Hurtigruten's MS Midnatsol was fortunate enough to shoot: A couple of dolphins are effordlessly swimming and playing in front of the ship! It's fairly common to see these animals from a distance, but seeing them so close, and in this setting is quite special. It looks like they're just in front of the ship's bulb, and I guess normal speed for this ship is about 15 knots. No high speed for a dolphin! This video is shot as the MS Midnatsol was on it's way to Øksfjord in Finnmark in Northern Norway. Beautiful animals!